“Big Data” – What does it mean for Dairy? “Big Data” is one of the trendy buzz words of the moment in the tech world. You hear it on commercials for tech firms, see it in article headlines, and even on the radio. With all the conversation surrounding the concept of big data, it begs the question, what can be done with all of this information? What is “Big Data” and what does it really mean for the average dairy facility? While most production plants would hear the term and think that it doesn’t have an application in their world, the reality is most of our customers are already using data to make decisions every day. 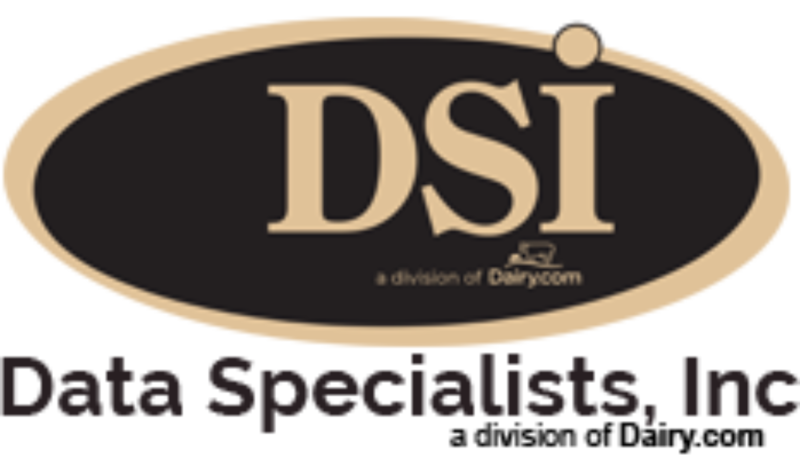 To highlight some of the various uses for the data, and how this information can be applied in the dairy world, we asked our customers what they’re doing with their data. While the tasks of data analysis and data mining are generally IT and accounting functions, their impact on the plant floor operations can be significant. For many of our customers recovering an additional 10 percent of their shrink, or improving their yield percentages by just a couple of points can mean hundreds of thousands of dollars, if not more. One such example is the relatively mundane process of doing silo reconciliation. This process differs greatly from customer to customer, however the ones that are most detailed with it see the greatest amount of success. We have plants that do this daily, some weekly, and we have others that don’t bother paying attention to this until the end of the month when they are working on the reports for the Market Administrator. The ones who do it on a daily basis are better able to track their issues, and do not find themselves “backing in” to a number when they report their monthly shrink. Doing this procedure not only at the total volume, but by each component, will allow your team to have the data to reconcile what components are being paid out to farms and suppliers versus what is actually ending up in the silos. While this is not a large discrepancy for many folks, you would be surprised the amount of money this adds up to at the end of each month. Another example we came across recently was a customer who brought in a new plant manager and their yields started increasing almost immediately. The plant manager had been working through data that was already available through our reports (no extra work) and was able to identify a discrepancy between the expected yields of a couple of his production lines. By identifying which line was having the issue, he was able to narrow down the problem, and eventually it was discovered that out of their three production lines, one of them was creating nearly double the trim and scrap of the other two. In this particular instance, it was a training issue with their employees, and not a quality or production issue. Initially most of our customers assume that this type of data analysis is only useful within the plant, or when evaluating sales and customers. One of the more interesting uses we’ve found through our customer base over the last several years has been on the procurement side, with producer milk, purchased milk, and the buying and selling of special mixes or UF milk. One such example came up with a customer we were working with earlier this year. This particular customer is a high volume manufacturer who was taking in over a hundred trucks every day. They were having issues being charged wait times by their hauler, having loads left in the yard, and on a few occasions they even had milk spoil in their yard because they didn’t know it was there until it was too late. Determining the cause of the problem was the first step, as they were not running a full capacity. They should have been able to take in more trucks than they were at the time. Was this an issue that was occurring at intake? Were their drivers not trained on what to do when they dropped a trailer? Were too many trucks ignoring their schedule and showing up at the wrong time? Was their intake equipment not performing as expected? As it turned out, their operators were doing just fine. Their analysis of how long it took from the time a truck arrived, until it was unloaded and leaving, was within the scope of what they were looking for. After determining that, their attention turned towards their haulers and the individual drivers. After watching the yard like a hawk for a month and still seeing issues, their plant staff got the office staff involved in a project. They wanted to determine why this kept occurring, even though there was not obvious cause to the problem. After pulling the data on their unloading times, the routes, the drivers and several other metrics, it was determined that there were too many trucks showing up within about a four hour window almost every day. An even deeper look at this found that the same routes were causing the problem nearly every day, as they were showing up as much as 3 hours early for their deliveries, setting everyone back in time, angering other drivers who were there on time, and causing a backlog. It was determined that their entire issue was being caused by less than a dozen haulers, all whom were consistently showing up early with their deliveries. While the concept of “big data” may sound scary and a technical term not suitable for the dairy industry, it can be as simple as this. By looking at data you’re already capturing within your various systems, patterns can emerge, if you know where to look for them. The beautiful thing is that you don’t have to be a fortune 500 company to cash in on the concept. Odds are, you’re already collecting the data – now it’s time to analyze it. In the second part of our two piece on big data, we will talk more specifically about how our customers are using data to evaluate the relationships with their producers – and how big data is changing the way that plants are incentivizing quality by changing how producer get paid.